More than a thousand years have passed since humankind intentionally destroyed its treacherous technology, choosing to revert back to a primitive tribal state. In this society the rusting brain cases of long-inert robots are considered trophies, and the scant knowledge that has survived is doled out to an inquisitive few in monasterylike "universities". It is at one such center of learning that young Tom Cushing first reads of the legendary "Place of Going to the Stars", rumored to exist on a high butte somewhere in the western part of the land. Driven by enthusiasm and an insatiable need to track the myth to its source, Tom sets out on an amazing trek across what was once called America, teaming up with a witch, the world's last remaining robot, and other odd companions. But all the astonishing discoveries and dangers they encounter along the way will pale before the revelations that await them at journey's end. 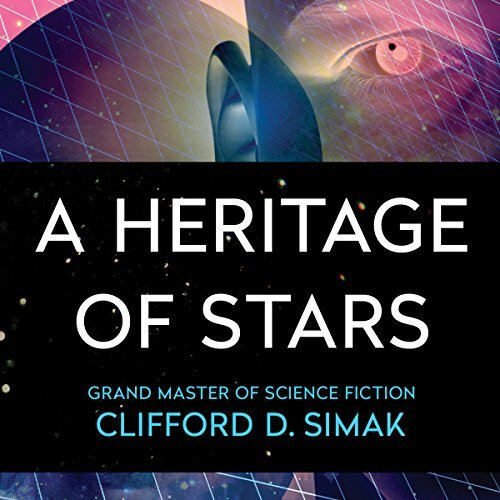 Clifford D. Simak, award-winning science fiction grandmaster, offers a breathtaking vision of the future that is both dystopian and hopeful in equal measure. In A Heritage of Stars, he boldly displays the heart, intelligence, and awesome imaginative powers that have established him as one of the all-time greatest authors of speculative fiction. ©1977 Clifford D. Simak; This edition published in 2015 by Open Road Integrated Media, Inc. (P)2015 Audible, Inc.
Not really. Simak has much better books. To me this feels like one of his weaker works. Has A Heritage of Stars turned you off from other books in this genre?